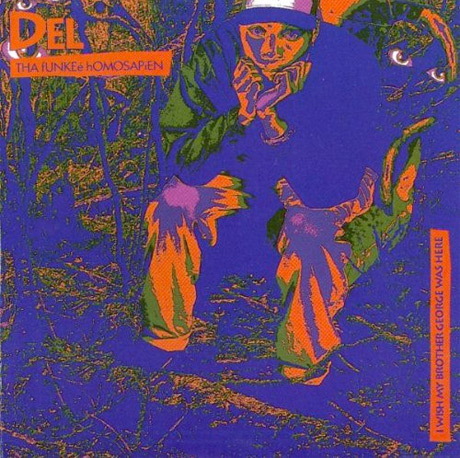 Long before Deltron 3030 and Gorillaz collaborations, Del the Funky Homosapien was one of the most influential rappers in the Bay Area underground. Soon, we'll be able to relive those days with a reissue of his seminal debut album. Initially released in 1991, when the rapper was just 18, I Wish My Brother George Was Here established Del as a force to be reckoned with. Executive produced by Ice Cube, who's also the rapper's cousin, the album combined outsider rap sounds with funk — there are Parliament samples all over this thing. Rather than expand the release, the reissue of I Wish My Brother George Was Here contains all the music from the original double-LP. It's simply just been repressed. I Wish My Brother George Was Here is available now from Traffic Entertainment. As previously reported, Del will also appear on tour with Deltron 3030, who are currently trekking across North America. The dates are available below. Thanks to FACT for the heads-up.